The NCIA is a subsidiary of the Northern California Kendo Federation. The Northern California Iaido Association (NCIA) will be hosting our 2018 Iaido seminar and shinsa from August 24 to 26, 2018. The instructor will be Ito Tomoharu Sensei, 8 Dan Kyoshi (Kendo and Iaido) Instruction will be all day on Friday August 24 and 25; shinsa in the morning on Sunday August 26. Times to be announced. The Northern California Iaido Association is happy to announce that we will be hosting the 2017 Iaido seminar and shinsa (kyu to shodan) Friday September 1 through Sunday September 3 at the San Jose Buddhist Church Betsuin, 640 N. 5th St. San Jose, CA. Last but not last, please do not forget to include your Shinsa application if you plan on taking the shinsa grading. NCIA is happy to announce that it is hosting 2016 Iaido seminar in Northern California once again inviting those who are interested in learning the art of Iaido. Our guest instructor will be Matsuoka Yoshitaka Sensei, returning this year.after a four-year break. Matsuoka Sensei travels regularly to Europe and Brazil to teach the growing number of Shinkageryu students, was highlighted in Iaido Toranomaki, and has made a popular DVD. In addition, this year we will be conducting promotion test up to 1 dan. We look forward to making this seminar very successful with your participations and support. The seminar will go from July 22nd (Friday) through July 24th (Sunday). You can also download our liability release, Shinsa exam application and our welcome packet online. Please fill up the online signup form above, print it out, and mail in the fees, waiver, and shinsa application (only if you're testing) to the address that you'll receive via email upon a successful online submission. The NCIA thanks everyone for a successful camp! Save the date! 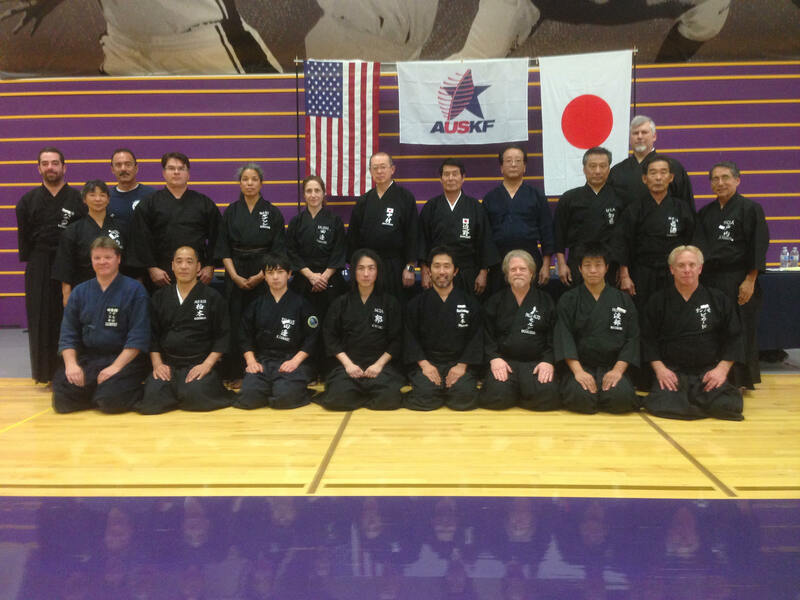 NCKF/NCIA will be hosting the AUSKF national iaido seminar this year in the San Francisco Bay Area. The dates are June 18-22, 2015. Location San Jose City College. Registration packet is available here. A form-only version can be found here . You may also find this supplemental information document useful. A FAQ documentation has been added as of April 27, 2015. You are also welcome to register online here . Please remember to print and sign the form when mailing the check. Please check back at this site often. Please address all questions/concerns to iaido2015@nckf.org . You may also find us on facebook as well! The NCIA is hosting Chihiro Kishimoto Sensei, Hanshi Iaido 8 Dan, Kyoshi Jodo 7 Dan and Toshio Maehara Sensei, Hanshi Iaido 8 Dan, Kyoshi Jodo 7 Dan for 2 days. Both jodo and iaido will be covered. Please find all relevant information here. 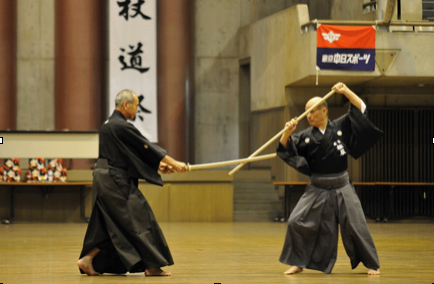 Jodo is taught as part of the All Japan Kendo Federation and now in the AUSKF. Practiced with a partner like kendo kata, 1 person has a bokken and the other uses a jo, or staff. 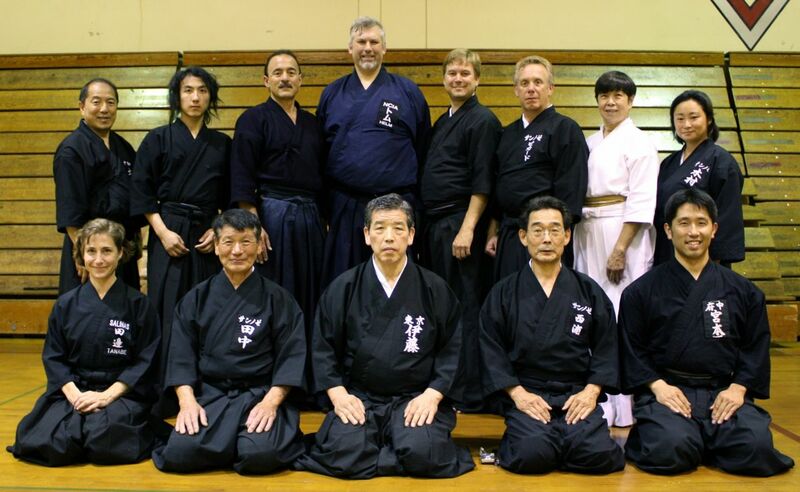 Like iaido, there are 12 standard AJKF jodo kata as well as several koryu, or old school styles. Testing and taikai are arranged through the Kendo Federation. Jodo is excellent for learning maai, timing, seme, and taizabaki. As members of Northern California Iaido Association, under the NCKF, we would like to invite the iaido community to join us as we pay our final respects to Richard Koichiro Tanaka Sensei, kendo and iaido 5dan. Tanaka Sensei passed away unexpectedly on October 28, 2014 due to a combination of a mild stroke and a brain virus. Tanaka Sensei started iaido in 1999, was head iaido instructor for the San Jose Kendo Dojo, rose to the rank of 5dan, and was current president of the NCIA. We would like to remember him for his tireless efforts not only to educate himself and impart his knowledge and energetic style to his iaido students, but also to grow the iaido community in Northern California. We ask your support as we pledge to continue his good work by hosting the 2015 AUSKF Iaido Camp in the San Jose Bay area. Tanaka sensei was laid to rest on November 3. Please join us in wishing deepest sympathies to his family.